That looks like a MOD if anything; the detail is pretty extreme whereas the Iron Ram set is basically the Royal Squire. Not sure, it could be a special NPC's armor that got labeled otherwise? 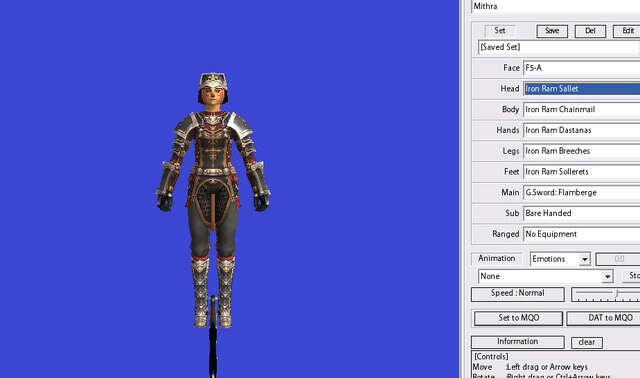 right now, that's armor only worn by cutscene npcs and campaign npcs. there's no name for it, so it was probably named iron ram chainmail because it's a reskin of that armor's polygons. there's some other neat looking stuff that's not available to pcs too. it's like walk of echos. in the data, but not installed yet. we may eventually get it, we may not. i think we will, they wouldn't have put such effort into something we never really notice on campaign npcs because we're trying to keep ourselves alive. will the armor be useful is another matter.